An interesting question I’ve received recently is, “Can hypnosis cure allergies?” The answer to that might seem fairly obvious — a categorical no — but there’s more to the answer than just that. Hypnosis is not a miracle treatment. Don’t let any sham hypnotists convince you that hypnosis can cure pancreatic cancer or make you win the lottery next Tuesday. Though it is the best form of treatment for behavioral disorders, it does have its limits. In a strictly scientific sense, hypnosis cannot cure allergies (you’ll find that even with pharmaceuticals, allergies are very difficult to cure). But! 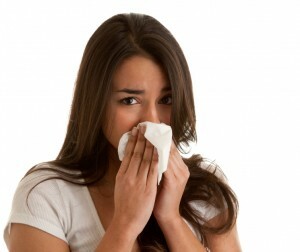 Here’s where hypnosis can help your allergies. If there’s a stress relationship to the onset of an allergic attack, then hypnosis is a perfect form of treatment. Let’s say that, in addition to dust or pollen, if certain stressors (be it at work or at home) trigger sneezing, watery eyes, itching, etc. then hypnosis can treat the mental issue of stress induction. Then there is also the feedback loop of allergy attacks during which the sufferer fears that another allergic reaction is going to happen again. This too is also a mentally derived cause of allergies, which is totally under the jurisdiction of hypnosis. For more information, please call the office at 212-599-3195. This entry was posted in hypnosis anxiety, stress remedies and tagged allergies, allergy, anxiety, stress by Dr. Errol Gluck. Bookmark the permalink.